Like many people, I reacted with horror and disgust when I first read in The Weekly Standard about this recent article in the Journal of Medical Ethics. It is by two ethicists in Australia, Alberto Giubilini and Francesca Minerva, and argues for the ethical legitimacy of what they call “after-birth abortion.” It’s a fascinating read, but it comes to a chilling conclusion: it is ethically permissible to kill an unwanted baby even right after it is born. The same reasons which justify abortion, they say, should also justify the killing of the potential person when it is at the stage of a newborn. This is because a newborn baby is not yet a “person” in the proper sense of the word. It can take a few days or weeks for an infant to develop a sense of self, purpose, and aims. If the child is going to cause undue stress to the mother or her family, or if the child’s life will not be worth living because of some debilitating disease, the best thing to do is end its life. I come from the pro-life camp, and I’ve no doubt that a lot of pro-lifers will probably jump on this article and claim that it is the inevitable result of the pro-choice position and that all abortion advocates implicitly promote infanticide. I don’t want to go that far (at least not quite yet), but I do think that it demands some hard questions of abortion proponents. Given the assumptions that justify abortion, their reasoning that extends this to newborns sure seems pretty valid to me, but I’d be curious to hear it from any pro-abortion folks out there: what makes killing a newborn different from aborting a fetus? If there is no line before birth, why should birth itself be a line? And if we want to delve more into the philosophy of it, what gives us the right to decide when a fetus becomes a person? How do they answer the argument, advanced by Giubilini and Minerva, that any maternal interest, such as the burden of raising a gravely defective newborn, trumps the value of that freshly delivered nonperson? What value does the newborn have? At what point did it acquire that value? And why should the law step in to protect that value against the judgment of a woman and her doctor? Or to follow another line of thought: why shouldn’t the mother’s best interests, particularly her psychological and economic well-being, take precedence over the destruction of human life—even if that life is still potential? It is, after all, on an inevitable course to personhood, which brings us back to the basic abortion debate. I’m not asking these questions to back anyone into a corner. I’m genuinely curious. NOTE: This post marks the end of my longest blogging drought since starting this blog a little more than a year ago. For more than a month, I posted nothing. That’s unacceptable, but there’s no point in self-flagellation. What matters is that I’m back with another book review. As the subtitle implies, Carr’s argues in “The Shallows” that the internet is changing our brains. It is shaping the way we think largely without anyone realizing it. This happens at the neurological level. The more we do certain activities, the better we become at them because our brains forge new circuits to make us more adept and sensitive. This applies to motor skills like playing the piano as well as more abstract thinking like reading a book. The more we practice a certain pattern of thinking, the more our brain map makes space for it. This process also works in reverse. When we don’t practice certain things, those neural pathways start to go away. In people who become blind, for example, the neural paths that the brain once used for sight are rewired to enhance other senses like hearing and touch. The implication of this is, as Carr quickly points out, is that technology ends up shaping and even controlling us much more than we might like to think. In the case of the internet, it trains our minds to be distracted. We jump from one thing to another within seconds—always shifting and moving and consuming. . . without really retaining. And with the sheer volume of information out there, we hardly have a choice. Between RSS feeds, Facebook status updates, Tweets, email, and instant Google searches, no one can afford to read anything anymore. At least, we don’t read in the same sense that we traditionally mean when we “read” a book. We live in an age in which beliefs about religion and the supernatural–especially in the public square–seem to be growing increasingly polarized and antagonistic toward each other. The religious seem to be growing more religious, and the secular more secular. Modernity has engulfed the world over the last two centuries, and genuine, deep-set religious faith seems to be growing more and more untenable. What are we to make of this? How should church leaders and secularists alike respond when faced with decisions about how to engage with the culture and those with differing beliefs? Or more important still, how ought we to go about finding answers to questions of faith and the supernatural? I was first introduced to Peter Berger through a pastor. In this video about the question of certainty in biblical interpretation, Tim Keller of Redeemer Presbyterian Church in New York city referenced “A Rumor of Angels”, noting that the decision to remain skeptical and avoid taking a position on something is itself a decision about what the text is saying. In other words, you can choose from the various interpretations, come up with your own, or claim some sort of “enlightened uncertainty”, but all three are concrete statements about the nature of what you are interpreting. Any belief you choose takes a stance about the nature of reality. If one of the first two positions is correct, then the third one isn’t going to do you much good. 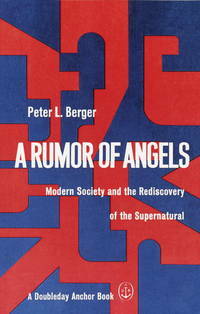 Indeed, the most valuable insight of “A Rumor of Angels”, I found, was Berger’s insistence that the cultural forces that condition our beliefs really have little to no bearing on whether or not something is true. At one point in the book he recounts a visit to India where he encountered a street funeral and afterwards spoke with a Hindu who shared a passage from the Bhagavad Gita. It spoke of life, death and reincarnation. Berger found that his western, Judeo-Christian sense of life sharply rejected the eastern view. He admits why: worldviews are relative and his beliefs had been largely conditioned by his background and society. Be sure you’ve read Part One of this post first. 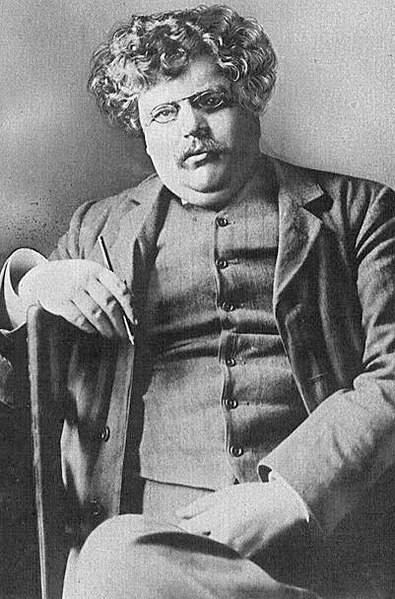 All of my favorite quotes from G.K. Chesterton’s Orthodoxy were too long for one post. Here are the highlights from the last three chapters. The whole case for Christianity is that a man who is dependent upon the luxuries of this life is a corrupt man, spiritually corrupt, politically corrupt, financially corrupt. There is one thing that Christ and all the Christian saints have said with a sort of savage monotony. They have said simply that to be rich is to be in peculiar danger of moral wreck. It is not demonstrably un-Christian to kill the rich as violators of definable justice. It is not demonstrably un-Christian to crown the rich as convenient rulers of society. It is not certainly un-Christian to rebel against the rich or to submit to the rich. But it is quite certainly un-Christian to trust the rich, to regard the rich as more morally safe than the poor. Nothing huge this week. But one of my professors recommended a while back that I watch this interview with philosopher-mathematician David Berlinski. Berlinski is a senior fellow at Discovery Institute’s Center for Science and Culture in Seattle and well-known as a critic of evolution. People can be quite dogmatic about evolution these days, but I think it’s pretty funny when a stuffy old philosopher like Berlinski comes out of academia and starts tearing apart the scientific establishment. Whether or not you agree with what he has to say, I think it should at least give us pause. 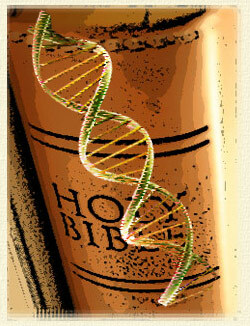 Maybe, just maybe, we ought to be a little more skeptical towards the claims of science. With that, I give the floor to Mr. Berlinski himself. The following are a few quotes that stood out to me. Be sure to watch the interview to understand them in their full context. It is a creation myth without a Creator. The game must be fixed, or I must be inordinately favored to win it like this. The idea that the world of matter is the world that matters is simple not true. All the laws of heaven and earth are unable to prevent man from his crimes. Surely relaxing the laws of heaven and earth shall not dispose man to better behavior.’ That seems to me self-evident. In order to advance scientifically, there’s an enormous body of assumptions that have to be in place, and those assumptions can’t be defended. No science, Aristotle said, ever defends it’s own first principles. And we can’t either. The Old Testament is the greatest repository of human knowledge and wisdom in the history of civilization–any culture, any time, any place–and that really should be the first point of discussion because every attitude current today in the discussion, from Richard Dawkins to me to Christopher Hitchens to lonely pastors in the Bible belt on Sunday morning ranting from a particular text, is discussed in the Bible and there’s a character in the Bible who expresses that point of view and there’s sympathy expressed for that point of view and there are reservations expressed by the sympathy. I think that last quote in particularly significant, as Berlinski is an agnostic and describes his relationship to the intelligent design movement as “warm but distant.” Yet he has a point. For anyone seeking answers to the big questions of life, or anyone who simply wants to engage with western civilization, you must read and study the Bible. If nothing else, it’s a matter of intellectual honesty. I ran across this provocative op-ed in the New York Times a while back. We can say two things about it right off the bat. One, Karl Giberson and Randall Stephens are writing for the Times’ audience. Their points were brief and slanted even though they dealt with complex issues, so they’re not likely to change anyone’s mind. Two, I think evangelical Christians need to be very careful and thoughtful about how they respond to criticism like this. I understand how gravely Christians take St. Paul’s command in 2 Timothy to “continue in what you have learned and have firmly believed,” but they ought to remember that not every hill is worth dying on. And let’s be fair. Giberson and Stephens raise some good questions about how Christians should live within today’s western societies. They accuse many evangelicals of “simplistic theology, cultural isolationism and stubborn anti-intellectualism.” We must realize, though, that almost every evangelical would say it is important to use the mind. They’d say that they support intellectualism (at least to a certain degree). Regardless of whether it is true, Christians don’t see themselves as intentionally ignorant and isolated like the article implies. The Weekly Standard touched on this a while back in a review of “The Anointed,” a book (also by Giberson and Stephens) that deals with evangelical truth in a secular age. Reviewer Thomas Walker rightly pointed out that, in the view of Giberson and Stephens, there seems to be little room for intellectual, culture-savvy Christians who still hold on to old “fundamentalist” dogma. People like Albert Mohler or Timothy Keller, for example, are well-read and up to date with the times, but both fall largely within the orthodox Christian tradition. Be sure to check out Part 1 of this review before reading this. SPOILER ALERT: No part of the show and it’s story is off limits to the discussion. You’ve been warned. The first scene of “Dollhouse” ends with a profound climax. Through a hazy, monitor-like screen, we see Dollhouse manager Adelle DeWitt try to convince a college student named Caroline to join the Dollhouse (Caroline becomes Echo). At first she refuses, but the pressure is so great that she has no other choice. “What if they didn’t?” Adelle says. Therein lies the Dollhouse’s fundamental appeal: escape. For those that enlist to become dolls, it offers freedom from the pain and consequences of a past life. For the clients, it offers people that are as real and genuine as anyone else but also perfectly suited to any relationship or task one could want–but minus the long-term consequences. Everyone’s happy; what could go wrong? A lot, as it turns out. As in any good story, that’s only how people want things to go. Adelle DeWitt argues for the morality of the Dollhouse by claiming that it gives people what they need. I won’t delve too deep into the psychology of the issue, but in the show, many of the engagements ring hollow or become downright vile. It seemed that few, if any, of the Dollhouse’s clients for romantic or relational engagements give us the sense that they are really satisfied. Most of the time it involves indulging their own vain, selfish desires or living hopelessly in the past.